Metal Additive Manufacturing (aka 3D printing) promises to deliver a 4th industrial revolution, and leading manufacturers are scrambling to understand how best to participate. A number of technologies have emerged to deliver on the potential. 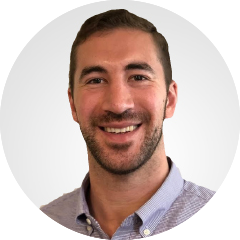 The large number of options and relative immaturity of the industry make it difficult to select applications and match them to the best solutions. Helping customers understand the metal Additive Manufacturing [AM] landscape will speed the 4th industrial revolution. Digital Alloys is creating a multi-part guide to metal AM with this goal in mind. There are three primary drivers of business value for metal AM: improving product performance, saving time, and reducing production cost. This post will elaborate on these three value drivers and then use them as a lens to examine and prioritize various metal AM applications. 3D Printing can deliver part geometries – such as hollow structures or lattices – that are impossible to produce with conventional manufacturing. Most conventional metal manufacturing processes either cut material away from a workpiece (machining, image below), set the shape of molten metal within a die (casting), or form it under pressure (forging, stamping, extrusion). All of these approaches have restrictive design rules which constrain the performance of the part. Even producing semi-complex shapes can often require intricate tooling, multi-part assemblies, and expensive secondary operations. The flexibility of 3D printing allows engineers to produce optimized geometries with higher strength, lower weight, fewer potential failure points from joining features, better thermodynamics, and more. These optimized part designs can be incredibly valuable in industries like Aerospace, where reengineering parts to remove just one pound can save thousands of dollars in total lifecycle cost for an aircraft. Another example of metal AM enabling performance gains is in tool making. 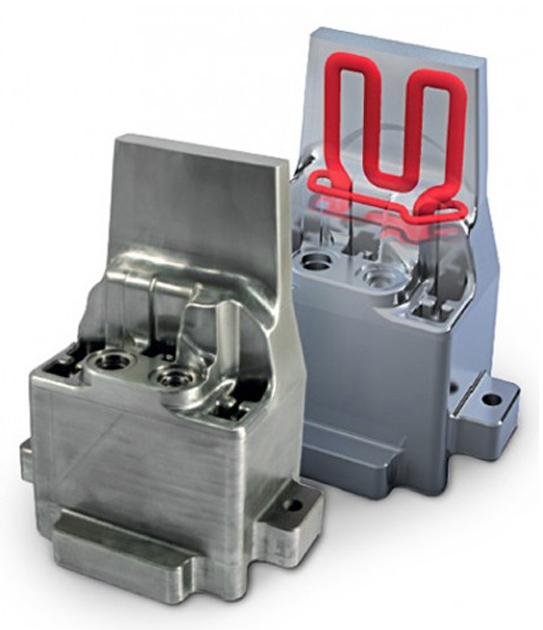 Manufacturers are printing conformal cooling channels (image below) in molds and dies to improve the thermodynamics of die-casting, injection molding, forging and stamping. 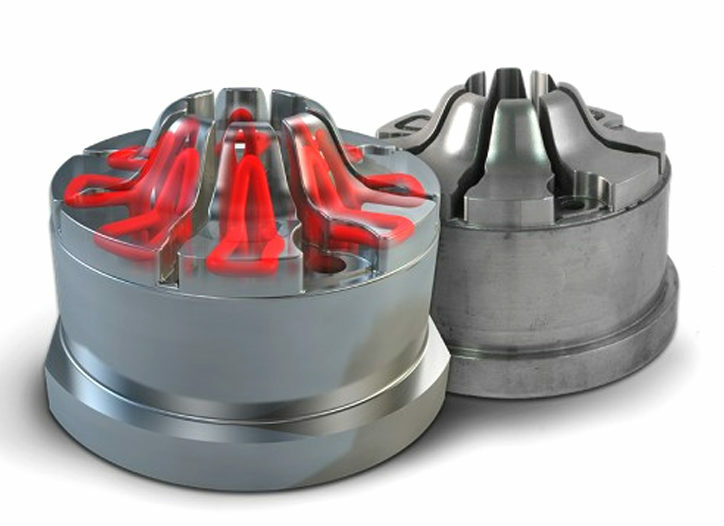 Cooling tools in this way shrinks cycle times and can improve the quality of parts produced using these enhanced tools. The design freedom that printing allows can also create opportunities for consolidating assemblies. In conventional manufacturing, desired shapes can often be attained only by producing multiple parts that are then assembled to create a system. With the design freedom of 3D printing, these complex assemblies can be replaced with a much smaller number of printed parts. Metal AM also enables the use of advanced materials and unique material combinations. Some metal AM technologies leverage specialty formulated materials with properties optimized for their process. Others have the capability to combine dissimilar metals in novel ways to create fully three-dimensional multi-metal parts. The new materials and combinations enabled by Metal AM can deliver mechanical, thermal and electrical properties that could not be achieved with a single, conventionally manufactured material. In an increasingly competitive global marketplace, time to market is a priority of every product company. Metal AM is being used through every step of the product lifecycle to help get new products to market faster and better support them in the field. Uses include compressing design cycles, eliminating tooling lead times, shrinking supply chains, and manufacturing service parts on demand. Product lifecycle from concept to service. Most conventional manufacturing processes require that custom tooling be designed and built for each new geometry. 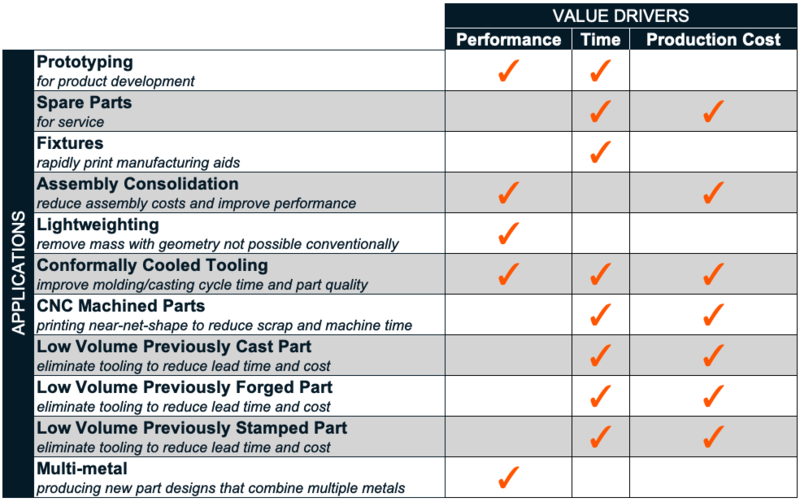 Lead times for prototype tooling are typically weeks or months. 3D Printing can eliminate tooling during the design phase, allowing manufacturers to build metal prototypes in hours or days. New, complex products usually require multiple iterations of design, prototyping and testing, providing potential time savings on each loop. In addition, shrinking this time can allow engineering teams to squeeze more design iterations into the overall development program. In the case of serial production, the development and manufacturing of tooling can take months or even years, and any product design changes at this stage can mean starting again from scratch. Metal AM can be used in production to go from CAD directly to final part, eliminating some of the long lead times for tooling. Manufacturing teams are taking advantage of this new approach to launch products sooner than would have been possible with conventional tooling. Similarly, many parts are made by CNC machining of blanks produced by forging or casting. Use of such blanks reduces material waste and machining time, as they are closer to the final shape than is a billet. Unfortunately, procurement of pre-shaped blanks can add lead time, risk, and delays to the manufacturing supply chain. Metal AM can replace forged or cast blanks with printed near-net-shape parts, shrinking time lags and reducing supply chain risk. The benefits of “tool-free” production have companies excited about what it can do for service and spare parts as well. Asset downtime is expensive, so OEMs go to great lengths to ensure that spare parts are readily available in inventory. As a consequence, spare parts and tooling sit on shelves for decades, tying up massive amounts of capital in manufacturing, warehousing and insurance costs. Metal AM is replacing this inefficient model with a digital, on-demand inventory strategy where spare parts are printed as needed. This is particularly effective for expensive, “long tail” parts that are infrequently needed but account for a large proportion of total costs. The ability to more closely match supply and demand through digitizing production and inventory has great value. Achieving this requires a deep integration of a companies’ design tools, business systems, and manufacturing equipment; the last of which is difficult with conventional manufacturing processes. With AM enabling a truly digital manufacturing platform, the “digital thread” can be fully connected. This is the holy grail for product lifecycle management (PLM) and a key pillar of the 4th industrial revolution (aka Industry 4.0). New manufacturing technologies are only adopted if they are cost effective. Metal AM is helping manufacturers cut production costs in three main areas: tooling, raw material consumption, and labor. Manufacturers spend hundreds of billions of dollars per year on tooling. Auto companies invest hundreds of millions of dollars in tooling every new vehicle platform. There is huge potential to reduce productions costs by eliminating the fixed costs of tooling with direct 3D printing of end use parts. 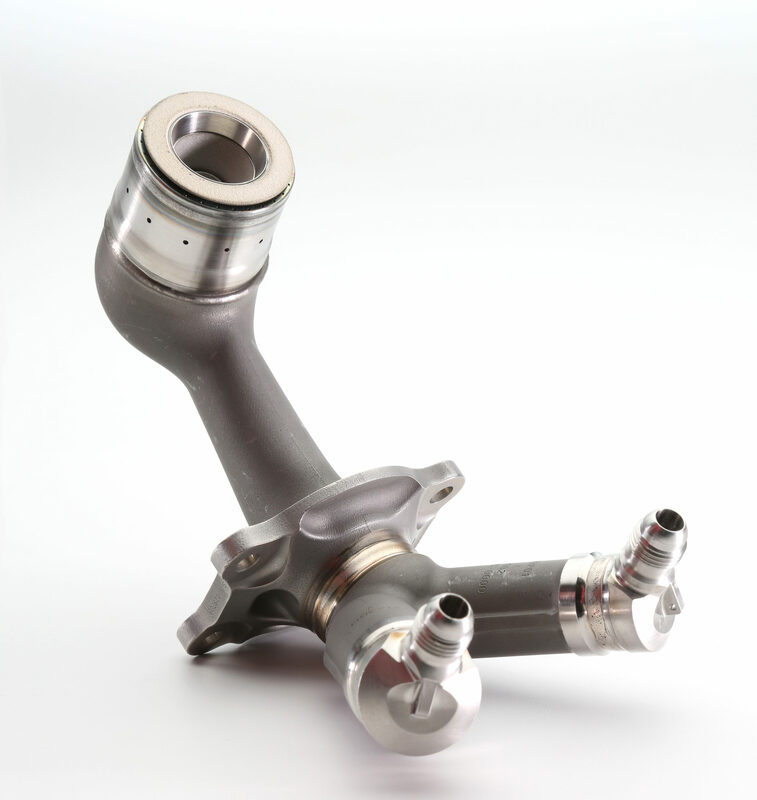 These cost savings opportunities are largest at the lower manufacturing volumes prevalent in aerospace, industrial, medical devices, and high-performance vehicles. As part volumes increase, the economies of scale possible with die casting, stamping and forging make direct 3D printing less cost competitive. However, Metal AM can still cut costs in high-volume applications. As mentioned previously, 3D metal printing can produce conformally cooled tooling that cuts production costs by improving cycle time and yield. Another area ripe for cost reduction is the raw material waste streams of conventional manufacturing, especially in CNC machining where you start with a solid metal block (billet), forging or casting and cut away to achieve your final shape. In machining, the main cost drivers are raw material consumption, machine-hour cost and total cutting time. For machined parts that are small relative to the starting shape (referred to as a high “buy to fly”), there is much cost in the scrap that is cut away, and in the machine-time required for bulk material removal (“rough cuts). It is not uncommon to cut away over 95% of the material to achieve the final part geometry. For metals like Titanium which are expensive, slow to cut, and difficult to recycle, this is a huge cost savings opportunity for AM. Wire-based metal AM technologies have proven their ability to reduce costs for these applications by inexpensively printing a near-net-shape part that requires only finish machining – reducing scrap and eliminating rough cuts. This is an application where metal AM has been adopted as a drop in replacement for conventional manufacturing – with no part redesign required. The last major area of cost savings lies in consolidating assemblies and simplifying supply chains. A great example of this is the GE LEAP fuel nozzle, pictured above, which reduced a 20 part assembly to a single printed component. When considering the total cost of sourcing, inventory, and labor in assembly and QA, it’s no wonder why GE and other leading manufacturers are racing to develop more applications like this. There are lots of complex assemblies in aerospace, automotive, industrial and other industries that can take advantage of metal AM in this way. We have outlined several areas of business value in metal AM and mentioned several example applications. The challenge remains to survey your business to identify applications and areas that are most impactful. The chart below provides an example template for cataloging your metal AM opportunities. As you can see, there are some applications where metal AM primarily excels in just one value category and others where it can check multiple boxes. For example, conformally cooled tooling and complex CNC Machined parts offer opportunity to improve performance, time and cost. These two applications are great places to start if speed of implementation is also important. This is because they are proven with clear benefits and costs, and do not require complex redesign processes for implementation. The amount of time and resources required to evaluate and implement metal AM will depend on a variety of factors like the specific application, your industry and product segments, your businesses priorities, and the general speed at which your company adopts new technologies. With a specific application selected, the next step is to develop application criteria, and choose the best metal AM solution from the many technologies available. Our next blog post in just a couple weeks will help you with this. Please leave your email here if you would like to be updated as we release future articles in our Guide to Metal Additive Manufacturing.